Puerto Viejo will welcome you with its incredibly delicious international cuisine, reggae music and stunning beaches – to prepare you for an exceptional relaxing Vacation in Costa Rica. It is a miracle that the Southern Caribbean Coast is such a well-kept secret as it offers the gems of the Caribbean beaches. For those who love a little adventure there is of course the possibility to learn to surf, take a boat, to snorkel on the reef or even visit an organic farm located in a Coastal Marine and Rainforest Preserve. You can also take long walks on secluded beaches, explore the wildlife or make a cultural visit to indigenous peoples. Another favorite activity is to rent a cruiser bicycle and explore the remote beaches in the area to collect some last impressions of your Puerto Viejo Beach Vacation. This Destination Vacation Package can be combined with other Destination Packages. 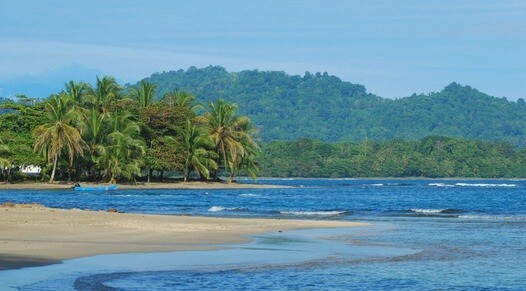 For Reservations and more information on Puerto Viejo Vacation Packages, please contact us.